Though the processing time for a personal loan has decreased over the years (maximum of 7 days), the loan approval rate is still a little less, as a personal loan is an unsecured loan where the risk involved for the bank is more. Due to this, lenders are more stringent when approving loans. 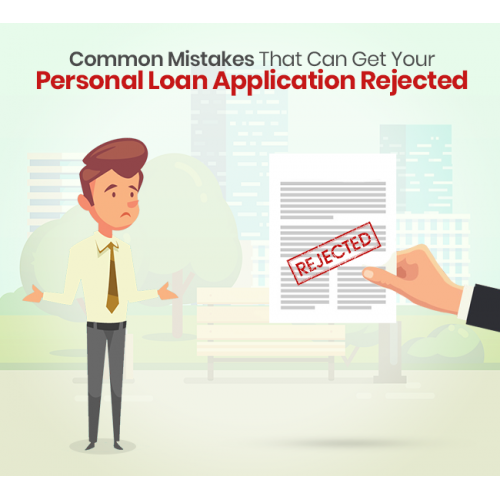 So, when a person’s personal loan application is rejected when s/he has a good credit score they need not get demoralized as there are many reasons other than credit score for loan rejection. You need not get demoralized if your loan application was rejected. You would have worked hard to improve your credit score, but there are other criteria that affect your loan approval. See what the issue is and fix it. Also, if your issue is one that cannot be fixed immediately you can choose alternate sources for borrowing.